For this semester project I had one clear goal in mind. I wanted to make a game that was easy to pick up and play, at least for people who are somewhat used to playing games. I also didn’t want to be a “creative director” this time, I would prefer to be able to take a backseat in the game design process, in order to work more on actually programming the game. I wanted to make a prototype as soon as possible, unlike last semester, and I wanted to use it to give the entire team a clear vision of what state the game is at. Unfortunately, this semester’s theme of Experimental Games didn’t really seem to favor my goal. During the Kickoff-Day brainstorm period I tried to find the group with the most game-like idea. 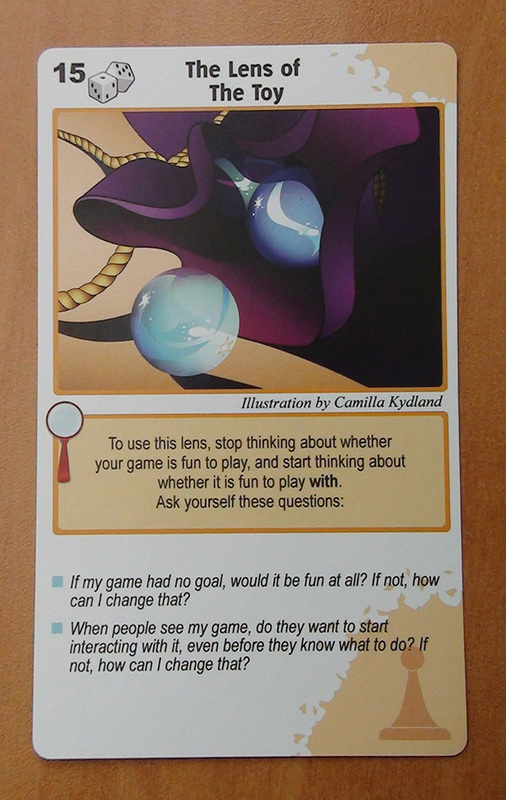 Most of the ideas seemed to be experiences rather than games, Rick and Caterina’s concept was the one I could most imagine to be actually playful. I didn’t fully commit to their group yet, because I wanted to listen to all of the pitches first, but after the first pitches, their idea still seemed the one closest to my goal. I then found out that Rick had a similar goal to mine, to make a game that can simply be played and enjoyed, without need of specific hardware. I ‘officially’ joined their group at the end of the day, and met with Rick two days later to do some initial brainstorming. Omar joined after the initial presentation on June 20, because he also wanted to make a proper game and – like me – felt that Trash Chicken was the project most suitable for it. Rick and I initially thought about making the game in the Unreal Engine, because it can look a lot better, and because I wanted to learn it anyways. However due to the short amount of time we had for this project, we decided that I would try it out on the weekend, and decide whether I think I can do it or not afterwards. I decided I couldn’t do it. The Unreal Engine is surprisingly much different from Unity, and since our game wouldn’t be the most simple, and since the game design would need a lot of work still, I decided that I had too little time to learn the engine AND make the game work in time. So on Monday I started work on the prototype – it would be cool if we could have something to show for the first pitch. I started off with a Toy approach. 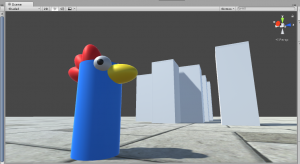 I made a simple chicken from unity primitives, a cylinder and some spheres, and built a physics based character controller for it. Angry Chicken, ready to destroy the city! 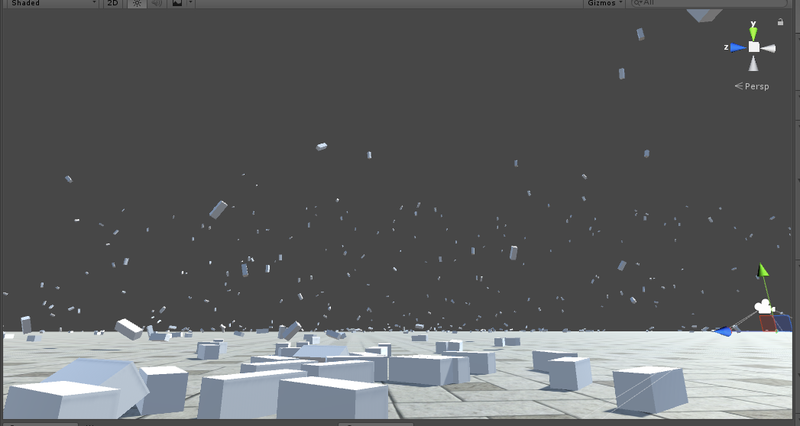 I also started implementing the destructible buildings. 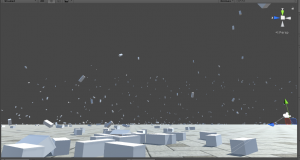 I used unity primitives again, this time cubes. When the player came in contact with the buildings, they would be destroy()’ed and fragments would fly around. The fragments (same cube, but an eighth of the size) would fly in all directions, but funnily, one of the 8 fragments would launch straight up almost like a rocket. 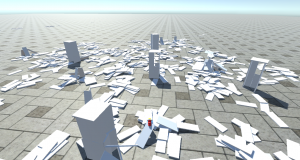 After the initial presentation on the 20th I asked Rick to play the prototype, and one thing we found out, was that the blocks feel too heavy and big, it wasn’t that much fun to play around with them. That day and the day after I spent more time on the prototype. 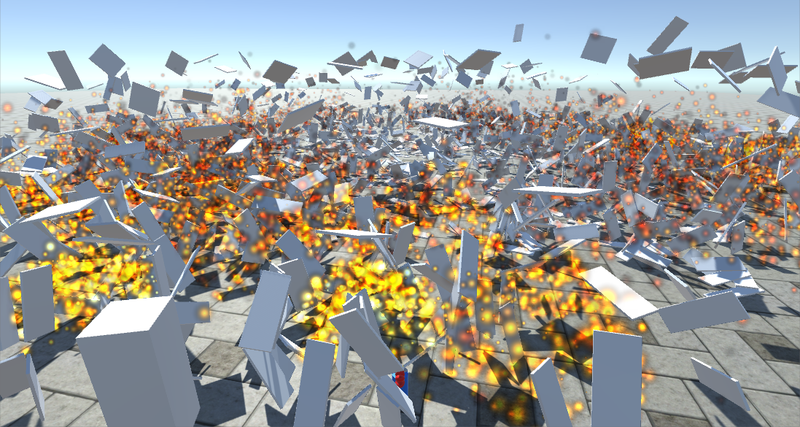 I improved the look of the explosion, and I modified the explosion fragments. Instead of solid blocks, they were now more like boards, which actually made more sense, since real buildings have walls, and are not solid blocks either. That meant the fragment count had gone up from eight to seventeen. I also changed it so that the fragments wouldn’t explode away on collision with the player, instead they could stand in place if the collision wasn’t very strong. This looked very cool, because there would be buildings that were still half standing, after pushing through the city with the giant chicken. Some ruined but not completely flat buildings. This did however removed the fun of the super-chain-destruction that was in before, where the fragments of just one destroyed building exploding out were enough to chain-react destroy the entire city. Looks awesome, great fun but cannot work in a goal-oriented game. 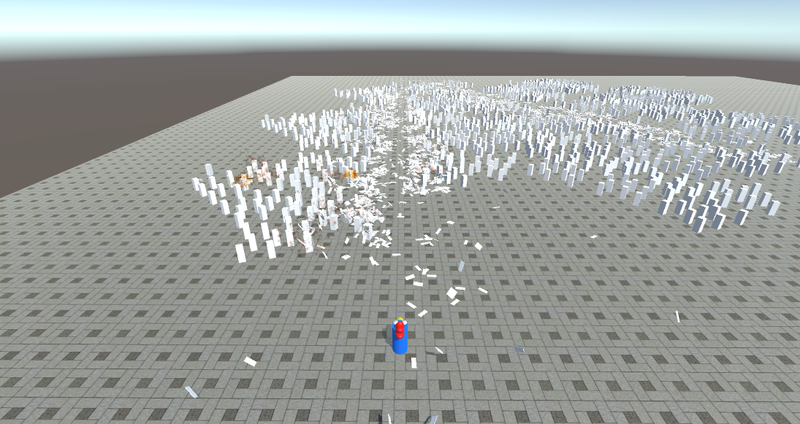 In the end I was quite satisfied with what I had, The explosions looked decent considering the particle asset was a simple white circle, and it was satisfying to see the trail of destruction behind you. Trail of destruction. Still explosions going off. And that was pretty much the end of the prototype. The day after we met for our ‘Game Jam‘ in which we decided to switch to 2D, so this prototype would go into the bin.